On a casual stroll through the Mc Cord museum in Montreal I stumbled upon many delightful facts! 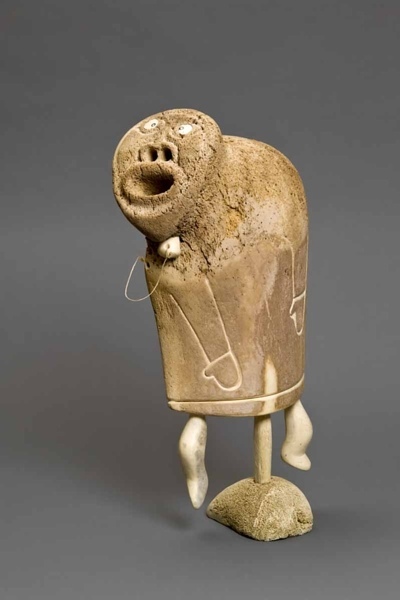 Whale bone art sculptures that depicted scenes from daily life were interesting mainly becauseof the medium. Phitography was not allowed but a few links will be posted shortly. The art is created by the Inuit people or Eskimos that inhabit Canada’s Arctic region, Numbering around 60000 totally they live in 30 isolated communities, each with a distinct artistic style. One more example of interesting naive art! 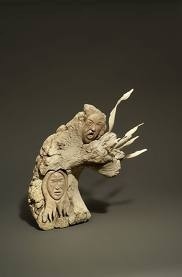 This entry was posted on August 28, 2012 by wovensouls in MUSEUM WALKS and tagged art, Canada. 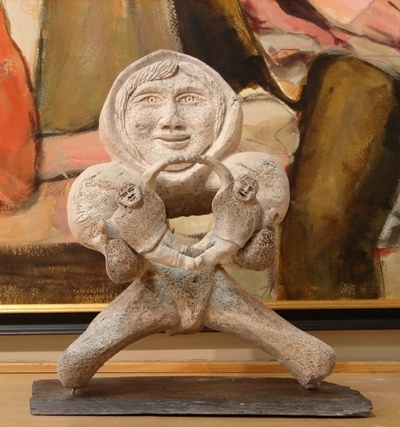 Arctic, craft, culture, eskimo, inuit, sculpture, Whale bone.